For dog-owners, their pup’s happiness is of paramount importance. And now there’s a new and novel way to keep your dog happy – by taking them to a doggy trampolining park. Because why should human children get to have all the fun? You can now add bouncing to the list of things your dog loves – along with running really fast, eating out of the bin and barking at nothing. 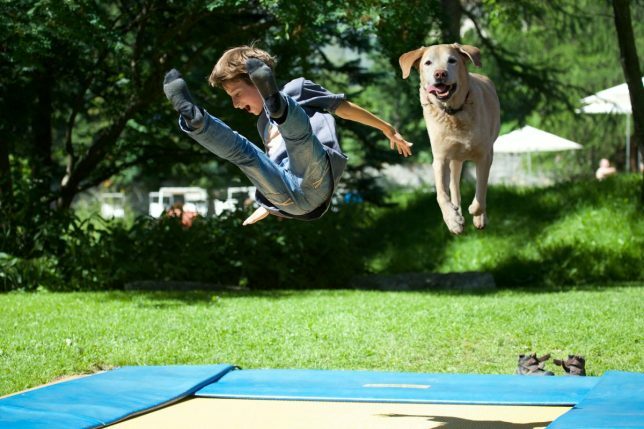 And the best thing is – well behaved owners are allowed to join their canine pals on the trampoline. The special doggy park is being launched by dog-walking service Rover. The aim is to help dogs let off some steam, now that it’s dark and cold and they’re probably not getting as many walks. ‘At Rover, we understand the importance of keeping your dog happy, healthy and stimulated throughout the year,’ explains Christopher Cederskog, Rover’s European general manager. ‘This can be difficult to achieve when the British winter sets in and our walks and play-time naturally become less adventurous. ‘With this in mind, we wanted to launch Dog-poline as the perfect remedy to any winter blues our dogs or their owners may be feeling.’ That’s right. Dog-poline. It couldn’t be simpler – all you have to do is sign up on the website and you’ll be granted a free 10-minute slot, as long as they haven’t all been snapped up. 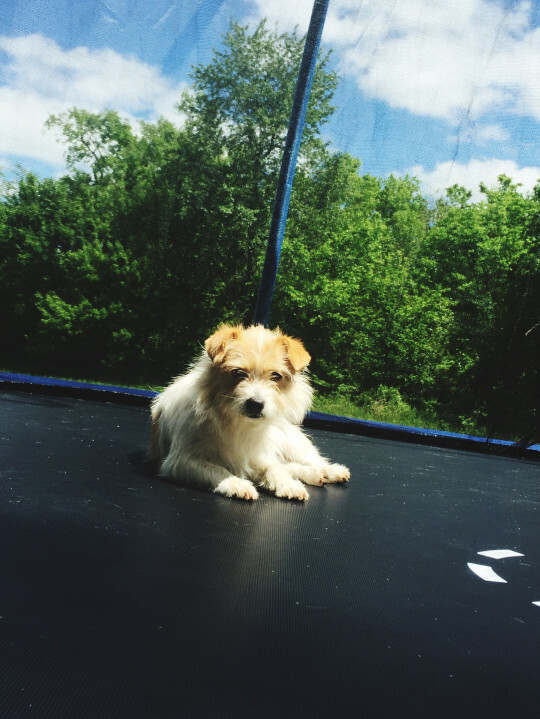 Dogs will be allowed on the trampoline one at a time and must pass a vet check by an on-site veterinarian before taking to the trampolines. And don’t worry, your doggo will be in good hands. A trampoline court monitor, animal safety handler and veterinarian will be present at all times to ensure the dogs are safe. Sorry to say but this is so dangerous and stupid. However it will probably be popular.